Hospitals and other health care facilities are massive organizations involving the work of hundreds of doctors, nurses, techs, maintenance people, facilities coordinators and more. In order for each of these workers to perform at peak efficiency and contribute to the health and wellbeing of their patients, the hospital must function like a well-oiled machine. That’s why health unit coordinators are so vital and indispensable. They support the medical staff by performing a variety of roles — from checking in patients to preparing birth certificates. They are often unheralded as they go about their daily lives, but it is no exaggeration to say that hospitals would be unable to navigate the procedural requirements of even the most basic health care tasks without HUCs. Let’s take a closer look. Let's make it a full week! The National Association of Health Unit Coordinators decided to expand Health Unit Coordinators Day to a full week of recognition (August 23-29). NAHUC holds its first meeting. Founding president Myrna LaFleur-Brooks met with interested parties in Phoenix to chart the formation of what would become the National Association of Health Unit Coordinators, Inc.
An industry journal called "The Modern Hospital" published an article about the successful implementation of what was then called a "floor secretary." We know them better today as health unit coordinators. Nobody likes to go to the hospital. But sometimes a visit is unavoidable. If you've had a medical-related experience that went better than you thought it would, thank a health unit coordinator for making it possible. Write emails to (or better yet: call) your elected officials to request that they proclaim August 23 as Health Unit Coordinators Day and August 23-29 as Health Unit Coordinators Week in your area. There are so many things that a health unit coordinator does. Find out what some of these things are. You're sure to discover a wealth of information — and perhaps a new appreciation of the vital role that HUCs play in modern medical care. The list of things health unit coordinators do seems limitless. To name just a few: Checking patients in, organizing medical records, ordering office supplies, coordinating patient schedules, and prepping forms for discharge. It takes a lot of training and education. 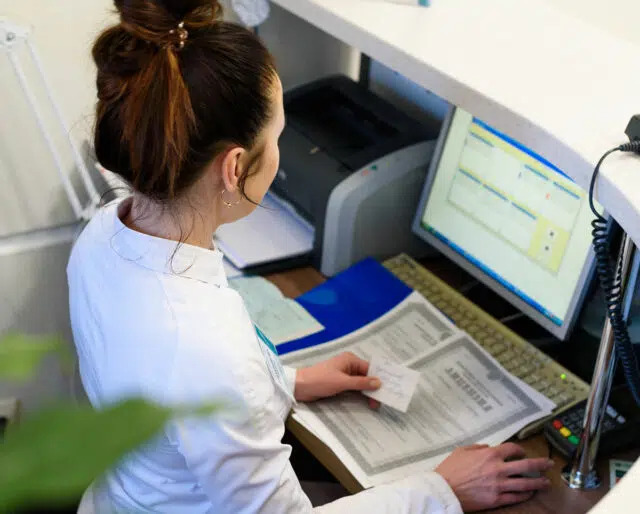 Health unit coordinators must know more than just office clerical skills., They need deep knowledge and understanding of medical organizations, terminology and record-keeping. Instead of health unit coordinators, you may hear these workers referred to as medical secretaries. Without health unit coordinators, it would be much more difficult to confirm appointments — and determine the availability of both specific doctors and specific procedures. And we would be more likely to run into walls of red tape and resistance when trying to get an answer to even the most basic health care questions. Most of the work done by health unit coordinators takes place without fanfare or notoriety. In fact, about the only time we notice these vital members of the medical profession is if and when something goes wrong. One of the most important tasks of a health unit coordinator is facilitating the lines of communication between various members of a medical staff — not to mention all the other departments (guest services, insurance, etc.) involved in modern health care.